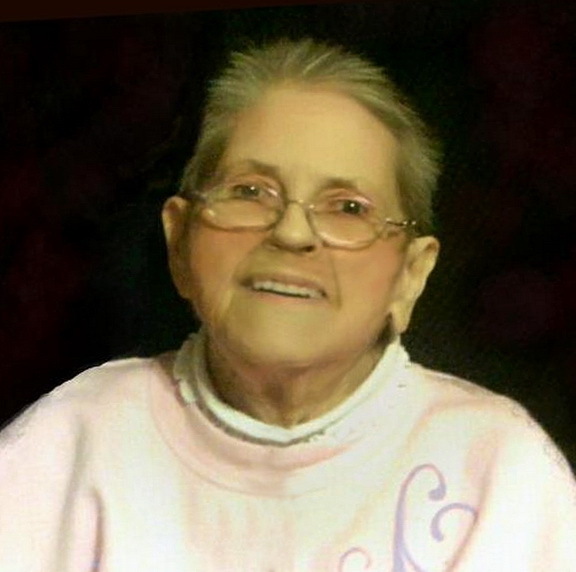 Linda Elaine Gambill Hancock (78) of Linton, IN., went to be with Jesus at 1:41 a.m. on Thursday, November 22, 2018, after a long period of illness. She was born in Dugger, IN on January 14, 1940 and was the youngest of five children born to Noah Gambill and Edith Smallwood Gambill. The family remained in Dugger during their lifetime, raising their children there. Linda attended Union High School in Dugger and graduated in 1958. She later married Frank Hancock. After several years together he passed away. Linda was employed with the Linton Police Department, also the Linton Taxi Service, and was Custodian with the Linton Stockton School Corporation. Linda delighted in playing with her grandchildren. She was very much in love with Elvis and kept images of him in her home. She was a resident of the Linton Nursing and Rehab up until the time that she was hospitalized at Terre Haute Regional where she passed while in hospice care with Heart to Heart. Survivors include her Niece Mary Gambill Braund (& William) of Aloha, OR., and a Nephew Gary W. Gambill (& Judy) of Stirling City, CA., a Nephew Alan Gambill (& Jeanne) of Mooresville, IN., a Nephew Larry R Gambill (& Paula) of Mooresville, IN., a Nephew Rodger L. Gambill of Indianapolis, IN., and a Niece Anita Dianne Gambill Dunkin of Indianapolis, IN. and she was like a mother to Kathy Morrison (& Gary) of Jasonville, IN., Missy Deckard (& Pete) of Linton, IN., Tracey Hancock (& Jennifer), Holly M Criss of Lyons, IN., and Corey(&Debra) Hancock of Plainfield, IN., and numerous grandchildren and great-grandchildren. She was preceded in death by several family members: Her parents Noah and Edith Gambill; a brother who died at birth, Russell Gambill; a sister who passed at age 14, Mary Elizabeth Gambill; two brothers Francis Gambill and Donald Gambill; her late husband Frank Hancock; her niece Sharon L. Gambill Smith, a nephew William D Gambill; and a niece Nancy Gambill Petty. A Celebration of Life is being held at the Dugger Community Building, 999 Hicum Street, Dugger, IN. on Sunday, Dec. 9th starting at 11:00 a.m. and continuing throughout the day. There will be a Graveside Service at the Antioch Cemetery on S County Road 100, at 2:00 p.m. where she will be placed with her parents. Newkirk Funeral Home in Dugger is entrusted with the arrangements. Pastor Larry Weaver of Bloomington, IN. will Officiate. The Service will be open to the public.